We have been this way before. 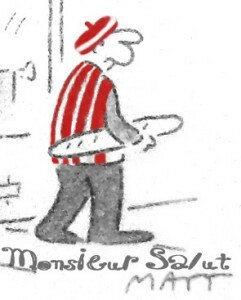 Early activity in a transfer window seems positive and our hopes rise accordingly, only to be dashed by a combination of factors: the questionable SAFC managerial merry-go-round, an imbalance of expectation and delivery and the air of thick gloom hanging over the club. But Chris Coleman’s first move really does look like a sound one. 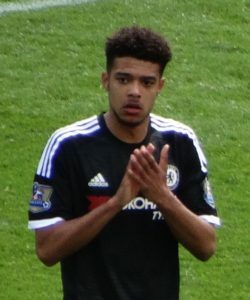 Jake Clarke-Salter, a ball-playing central defender brought on loan from Chelsea, “is supposed to be rather good”, says a Chelsea-supporting friend. Coleman clearly has the right contacts, pulling power and an astute understanding of where, among so many needs for squad strengthening, Sunderland’s priorities lie. He now wants to recruit quality for the midfield and attract at least one striker. We could argue about goalkeeping issues, too, but Ruiter and even Steele will perform more convincingly if they can feel confidence in the outfield players they see most of. Phil Smith, who must wonder what what on earth possessed him to think of returning from Cardiff to Sunderland and become the Echo’s chief football writer, has analysed our transfer window progress and aspirations in depth and has done it well. Like Phil, I shed few tears at the loss of Lewis Grabban, goals and all. Players who want to be elsewhere are or become to a greater or lesser extent passengers. No professional footballer is required to be a supporter of the club he plays for. Grabban had no reason to feel he owed Sunderland anything; this is a field of human activity where loyalty is not often shown by or to anyone. That said, Coleman is probably right to dismiss even the goals – “penalties and consolations” – and to hint at a certain frostiness in their relationship, perhaps even a belief that here was a man with no heart in what he was doing or at least where he was doing it. So yes, whether his desire to leave or Bournemouth’s wish to cash in with a quick sale was actually the driving factor, bon débarras if you’ll excuse our French (good riddance). “Jake is a hugely talented young player who has jumped at the opportunity to come to this club and show people what he can do. You don’t play for a club like Chelsea unless you have tremendous ability and I’m sure he will be able to demonstrate that for Sunderland. Kone and Ndong back in training. Good news and just a coincidence that the transfer window is open? Good news if they commit. Good news if they leave and liberate funds.